My goal is to empower you into your own greatenss and strengths so that yo can create a new realality for your life and your family\'s life by relaunching your self esteem and self confidence by rejuevinating your mind. How Is Internet Marketing Changing? Did You Write That Right? How Much Time Do You Spend On Your Resume? http://www.donamdavis.com Join this free membership website for loads of resources for people looking for work.Download your copy of Tips From Your Job Coach..a strategic guide for employment seekers. 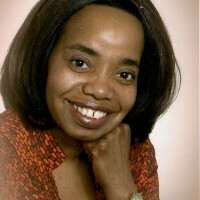 http://www.donamdavis.com Tips From Your Job Coach is a free membership website for employment seekers. If you know someone who is looking for work then refer them to this powerful website.